Okay, needless to say I am having so much fun with my new found love. Twist outs of course! I can't wait to come up with more styles using two strand twists. 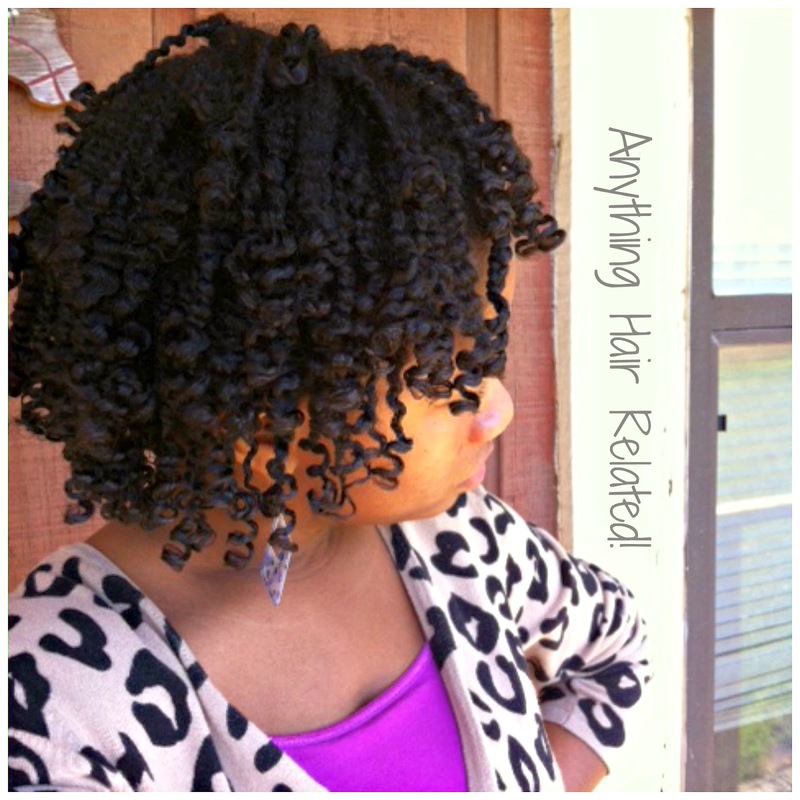 This post is simply a refreshed twist out from the original one I did a week ago. If you missed my post then click HERE. This is how my hair looked about six days post initial style. I kept the flat twists on the side in place and simply re-twisted the remainder of my hair. I took small sections of hair and spritzed with water. I made sure that I only spritzed enough water to make the hair "damp" and not "wet." I found out that my twist out has more definition and dries faster with damp hair. 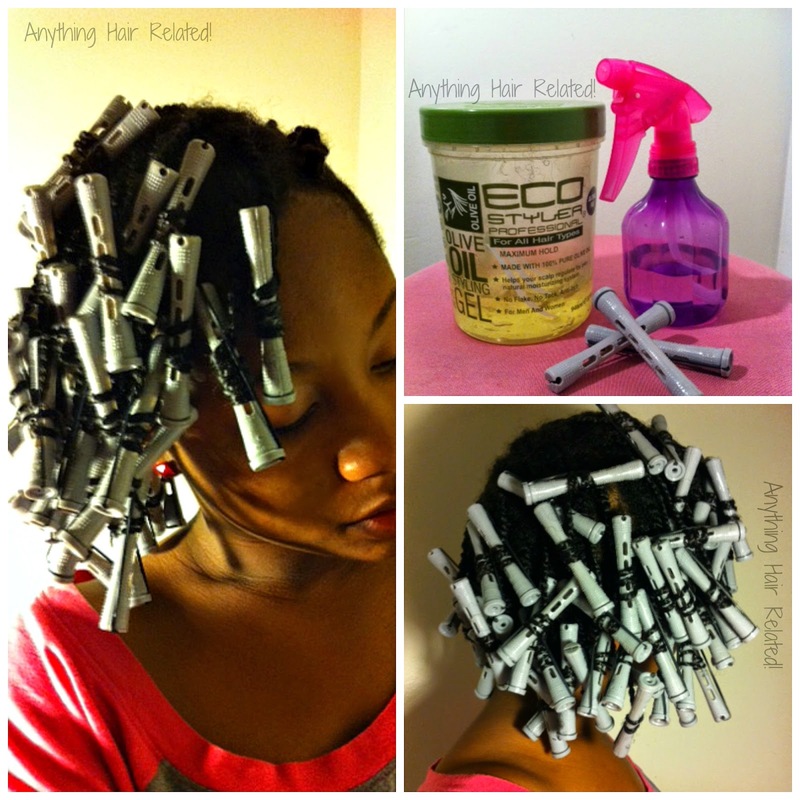 After I dampen my hair, I add just enough ECO Styler gel to feel it on the strands. (Don't overdo on the gel) Lastly, I rolled the ends of my hair with perm rods (gray). This is how I achieve the "Curly Fries" look. Not pictured here: Those flat twists are still on the right side of my head hanging out....Hehehe. Next step, I covered those perm rods with a shower cap. Here is where my creativity ran wild. I poked a hole in the middle of the shower cap and forced my handheld blow dryer threw it. Then I secured the shower cap around the nozzle of the blow dryer with a small elastic. This was my free style bonnet because I did not want to sit under the hooded dryer. Oh Yeahhhhh>>>>> It inflated just like a balloon and was perfect for the job. I will continue using it. After 30 minutes I removed the shower cap, put on my satin bonnet, and slept with the rollers still in place. 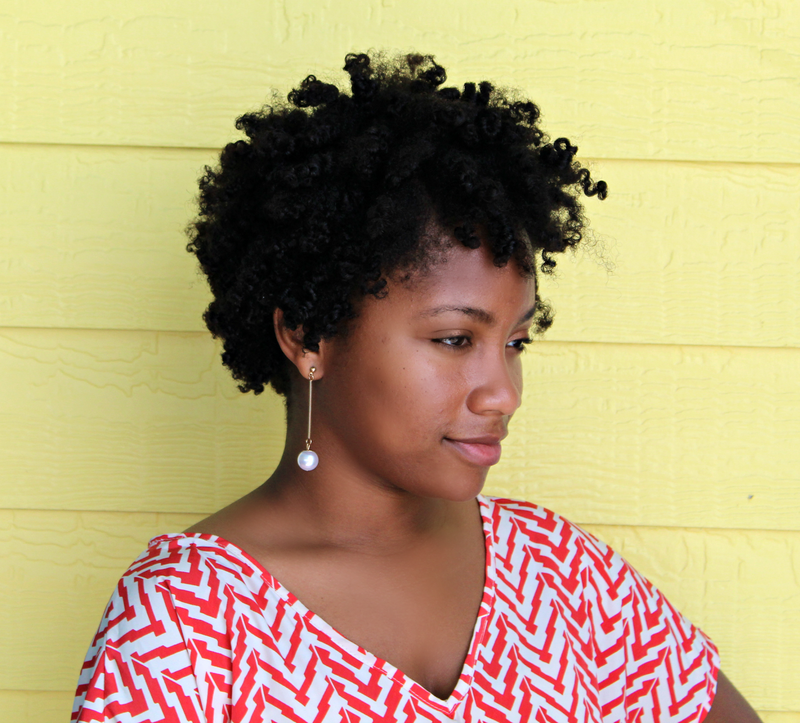 The next morning, I coated my hands with coconut oil and gently unraveled each two strand twist. QUICK TIP: The twists around my edges are braid half way down and then twisted the remainder of the way. I only unravel the twisted potion and leave the braided section in place. This helps keep edges smooth and prevents hair from swelling out of control. It definitely makes a difference in the appearance overtime. This style lasted me another 6 days. Maintenance = Simple. 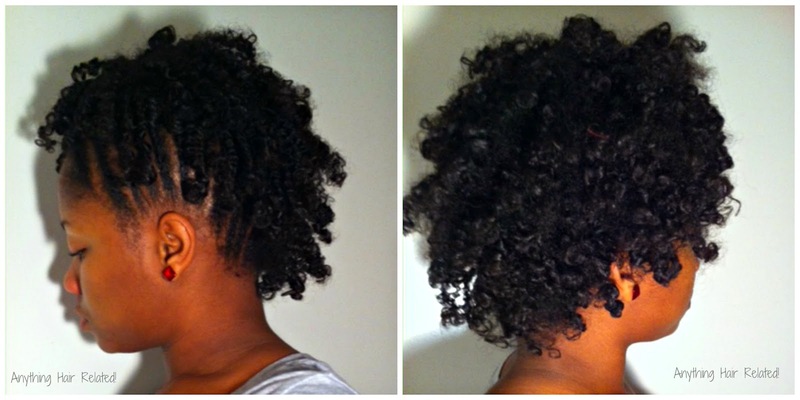 (April 1st - October 1st) is my protective styling months. I don't normally straighten my hair during this time because of the humidity in the south.